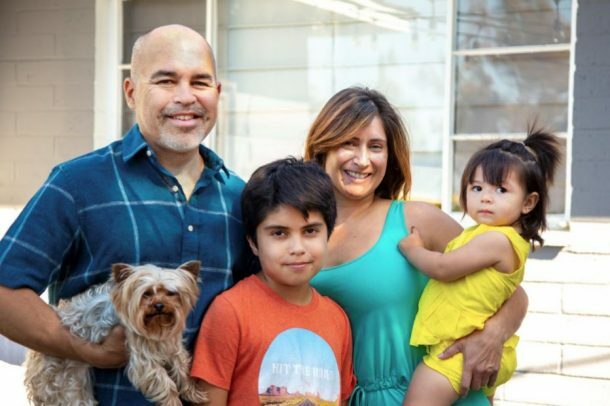 The Flores family used REEL financing to make energy-efficiency upgrades and improve the comfort of their home. The role financing plays in building comprehensive projects. If you are a contractor, you most likely spend a fair amount of time generating and presenting proposals to your potential clients. This is a time consuming and sometimes frustrating process. After all, this is all an upfront cost to you with no guarantee that your proposal will be accepted, allowing your company to move ahead with the project. Construction projects are not cheap and very few people can write a check to cover the cost of a five-figure project out of pocket. Many times, your potential client may have secured the funds for their project before they contacted you. The trouble is often they find out that things actually cost more than they anticipated. This means your ability to close the deal frequently hinges on your prospects ability to come up with additional funds. For the most part, energy efficiency measures make sense and are pretty easy to understand. For example, most people can make the connection that sealing a crawlspace to keep moisture out will increase indoor air quality. The hard part is convincing them it’s worth the additional cost. In my experience, most prospective customers have allocated funds for the big stuff, HVAC and other big-ticket items, but they come up short paying for things they didn’t know about like air sealing and ventilation options. The go-to source for additional funds for many people is 1. Some form of equity line or second mortgage 2. Credit cards, both of which can present challenges. Equity lines can be difficult to obtain, particularly in a down real estate market. Credit cards are expensive and are seldom the best option. If your potential customers can’t quickly come up with the funds needed to complete the measures in your proposal, they will likely pass and do something else with the money, like buy granite countertops. This is why you need to bring financing options along with your proposals. If you are not working with some form of a financial partner you are leaving money on the table, I guarantee it. When I was a contractor, we quickly learned that if you present financing solutions along with your proposal your closing rates go up and work scopes get bigger. Ten years ago, there were not many options. In fact, I think we only had one offer when it came to additional capital, and it was an unsecured loan at a bargain rate of 22% interest. Needless to say, this did not help our situation much when it came to providing a realistic financing offer to our clients. Today consumers have a variety of options when it comes to securing funding for their projects. There are many industry-specific products available to help pay for projects. These include utility loan programs, energy efficient mortgages, PACE tax liens, and many others. There are also special offers from industry trade organizations, such as EGIAs Geosmart financing. Even the state has gotten into the game as the California Public Utilities Commission has authorized the California State Treasurer’s office to administer energy efficiency financing options. In some regions, there is also the potential to pay for energy upgrades on your utility bill with “on-bill” finance programs. This doesn’t even touch on the options available if you include solar in your projects. The bottom line is there are more ways to finance energy efficiency projects than ever before. If your goal is to grow your business and increase the size of your projects you need to do your homework. Find the product or products that work with your business model and present these offers along with your proposals. If you make it easy for your customers to pay for projects, you will close more deals and sell more comprehensive jobs. It’s that simple. This month we are sharing a guest blog from one of our sponsors that provides details on a new finance offering administered by the State. This is a new offering from the California Alternative Energy and Advanced Transportation Financing Authority (CAEATFA) under the statewide GoGreen Financing brand, called the Residential Energy Efficiency Loan (REEL) program. Please take a look at their blog below and see if this might be an option to help grow your business. With utility incentives dwindling, there are fewer resources to help residential contractors and customers make green upgrades. Enter the state-administered Residential Energy Efficiency Loan (REEL) program on GoGreenFinancing.com. With more than $6 million in loans supported and over 300 contractors enrolled statewide, REEL helps Californians make energy efficiency upgrades through affordable financing. And for contractors like you, REEL helps contractors sell larger, greener projects by offering customers low monthly payments. What is GoGreen Financing, and what is REEL? Administered by the State of California with the support of the investor-owned utilities, the REEL program is designed to help residential homeowners, renters and contractors access affordable financing for energy efficiency projects. The REEL program works with local lenders to offer low monthly payments and competitive rates, with no lien on the property. GoGreen Financing is the public-facing platform for state-administered energy efficiency financing programs, including REEL. The website is a statewide source that offers trusted, attractive, energy efficiency project financing options for a variety of property types, including Residential, Commercial, and Affordable Multifamily. Why is the State of California offering a residential financing program? The State of California has ambitious goals to reduce greenhouse gas emissions and address climate change. An important part of achieving these goals and improving air quality is reducing energy use in existing buildings. Billions of dollars are needed for the upgrades, and there is simply not enough government or utility funding to pay for these investments. The program continues to grow quickly, with new contractors joining each week – get started at GoGreenFinancing.org. Why would consumers choose REEL? flexibility, with the option to apply up to 30% of the loan amount toward non-energy measures. This allows homeowners to bundle both energy-efficiency and cosmetic projects under one loan. In other words: upgrade their HVAC, windows, and remodel their bathroom with a single monthly payment. Finally, REEL is backed by sources that customers already know and trust: the IOUs, CPUC, and the State of California. To generate interest, the state runs a statewide marketing campaign to drive homeowners to visit GoGreenFinancing.com, where customers can learn about the program and find participating contractors and lenders. The IOUs have REEL information on their websites and send out mass emails to their customers encouraging them to find a REEL Participating Contractor for their next home project. These emails reach millions of utility customers across the state with each campaign! Contractors know it’s better to install energy efficient upgrades – but customers are price-sensitive. The REEL program helps by offering attractive financing for eligible energy efficiency measures. The REEL program works with regional and statewide lenders to offer better-than-standard financing terms to homeowners. To get started, customers contact one of the approved lenders (PDF download) to get pre-approved. Once the customer is pre-approved, the REEL Participating Contractor emails the lender a one-page quote (called an “Estimated Itemized Invoice”), and the lender approves the contractor to begin work on the project. At project close, the contractor submits a final one-page invoice and a Certificate of Completion, and the homeowner closes the loan. The lender then provides payment – typically to the contractor – within one business day. Behind the scenes, the program helps lenders offer better rates to a broader customer base. It’s fast, simple and straightforward. How can contractors start offering REEL financing? If you’re eligible, you must complete an online self-paced training and submit a brief application. The training is offered through an online system that allows you to start, pause and resume the training as your schedule allows. Once you’ve completed the training, you can submit the contractor application and a copy of your insurance by email. REEL is a financing tool that works for contractors, customers, and California. It champions energy efficient upgrades and supports a healthy and green future for our state. Visit http://www.gogreenfinancing.com/residentialcontractors to start the online self-paced training today and start offering REEL to your customers! If you have any questions, feel free to call 800-484-0109 or email reel@frontierenergy.com.